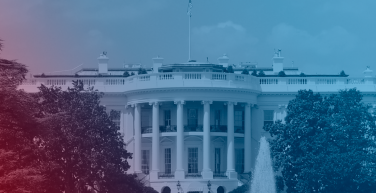 It’s been a year since President Trump’s election, and I have been reflecting on what has changed and how we at Business Forward have adapted. I’d like to take this opportunity to update you on our work. First, business leader engagement is up. For eight years, our mission has been to “help local business leaders fix Washington by bringing Washington to them.” Naturally, we worried dysfunction here in Washington this past year would depress interest. We were wrong. By every measure, our network of 100,000 results-oriented, data-driven, civic-minded business leaders was more active in 2017 than in 2016. Thank you. As Washington grows more polarized, business leaders matter more. Partisans are talking past each other, and little of what’s said in Washington is designed to persuade Americans in the middle. It’s infuriating, because those Americans are asking pretty simple questions. I want to do something about climate change… can we afford it? I have health care through work… how does the ACA help my family? That border wall sounds expensive… but what does immigration mean for my wages and my tax bill? Business leaders remain one of the most trusted groups in America (behind the military, but ahead of nearly every other group). More important, your experience dealing with rising health care costs, outdated tax laws, and crumbling infrastructure makes you an expert on many of the questions your neighbors are asking. By sharing your story, you help make the “business case” for action and against more gridlock. Confusion at the White House is creating opportunities to get things done—or at least stop bad things from happening. Puzzled by President Trump’s conflicting statements about DACA? You are not alone. But when more than 1,000 of you joined with Business Forward and FWD.us to stand up for Dreamers, it was news at CNN, Fortune, and the Chicago Tribune. After days of bad press, President Trump offered to consider extending the DACA deadline. On immigration, health care, and tax reform, members of Congress are feeling whipsawed, which makes this a very good time to lean in. One business leader, acting alone, is unlikely to make a difference. But thousands of business leaders, working together, are hard to ignore. You’d like to do something, but you’re busy and it’s hard to keep up with what’s happening in Washington. You need help figuring out when to weigh in, which reporter to call, and which arguments work best. 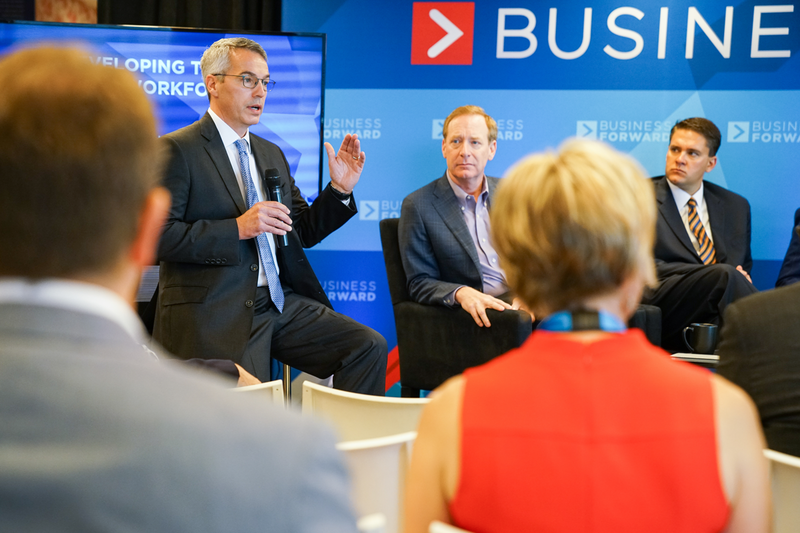 Business Forward is here to provide you with media training and research support, alert you to public comment periods and congressional testimony opportunities, and help you identify local media covering your issue. Best of all, we work with hundreds of business leaders in each congressional district and thousands in each media market, so you’re never out there alone. Last May, we helped more than 1,000 of you submit testimony on clean energy at a Trump EPA hearing for small businesses. At the hearing, the EPA reported only 2,700 comments had been filed. When only 2,700 comments are filed, our 1,000 local business leaders stand out. DACA. The Deferred Action for Childhood Arrivals program will expire next year without action by Congress or an extension by the President. Expect an email from me next week, asking you to join CEOs pushing to include DACA in the debt ceiling and budget deal due in December. Tax Reform. Nine out of 10 small businesses won’t benefit from the small business tax cut outlined in the current House proposal, which is why even traditionally Republican small business groups oppose it. In the past few months, several thousand of you participated in at least one of our tax briefings, and several hundred of you have already submitted testimony to the House Ways and Means Committee. As alternative tax proposals are offered, we promise to help you weigh in. Rural Opportunity. One in four of you live in rural areas. We’re working with several of America’s biggest tech companies on ways to deliver affordable broadband, help small retailers reach new markets, and help rural entrepreneurs find capital. We hope you’ll participate. Climate and Clean Energy. 40,000 of you have participated in a climate or energy briefing, submitted testimony to the EPA or Congress, attended a climate-related media training, or told us you care about the issue. The EPA is holding what may be its last hearing on the Clean Power Plan at the end of this month. We will be there—and we’d like to bring testimony and case studies from as many of you as possible. NAFTA. 19,000 of you participated in at least one of our 150 trade briefings during the fight over TPA and TPP. Nearly everyone wanted to modernize NAFTA, but hardly anyone wanted to kill it. Negotiations resume in Mexico later this month, and we expect more hearings here in Washington in Q1. School Reform. Several districts that invested heavily in charters, “innovation schools,” and education technology are reporting significant increases in student performance. 28,000 of you live or work in one of the 12 school districts most actively debating school reforms. We will offer local briefings and media trainings starting next quarter. Tolerance. Many of you have reported that growing political polarization is affecting your workers and your workplace. We will be hosting a series of conference calls and webinars on how to manage this growing problem, featuring HR executives and CEOs. Please join us. To help you stay involved, I am pleased to announce a newly redesigned Business Forward website. We’ve made it easier to register for events, learn more about the issues, and see case studies of how Business Forward has helped other business leaders advise mayors, governors, members of Congress, and the Administration. Please check out our new website, and let us know what you think by emailing info@businessfwd.org. At Business Forward, we remain committed to helping you fix Washington. Thank you for joining us.